Today’s Deal over at Amazon is a great one if you are needing to pick up an external power pack for your devices. Today you can pick up the Anker PowerCore 10000 for $18.69, a savings of over 63% off the regular $49 price tag. As the name suggests, this power pack has a 10,000 mAh battery in it so you can easily charge most devices three times before having to recharge it. It has a single USB-A connector so you can use it with really anything out there: MicroUSB, USB-C (A to C cable) and an Apple Lightening cable. It is designed to work with any device and get you powered up and going again. It also is in a small package. This pack is slightly larger than a credit card so you won’t have a big, bulky battery to carry around with you. works is the pack will adjust the output and voltage based on the device connected to it to provide the quickest and safest charge to it. 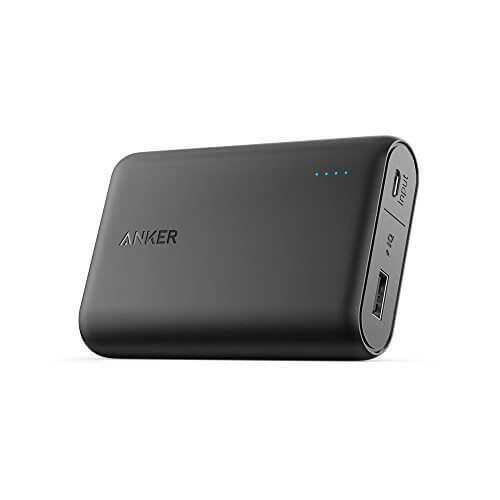 As with all Anker products, this one comes with an 18 month warranty and ships with a MicroUSB cable to charge the pack when it needs to be recharged. I’ve used countless products from Anker over the years and have no hesitation in recommending their power packs or cables. They last and are a great value for the money.